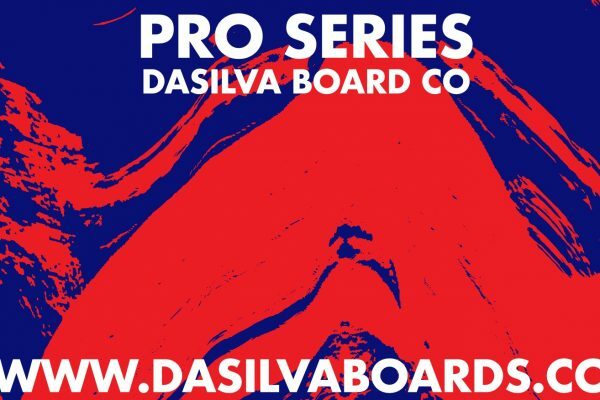 The 2019 lineup from Dasilva Board Company is available for pre-order now. Read up to see what they’re offering and hit the link to order! 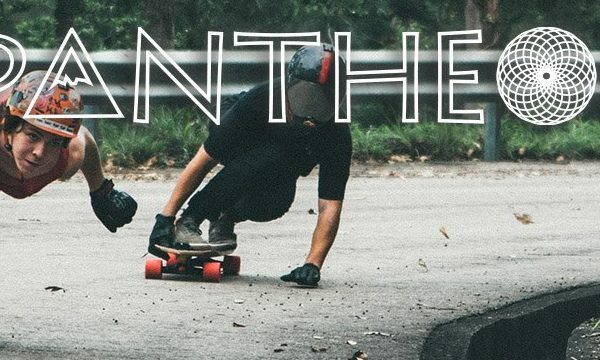 Dasilva Board Co is dropping their 2019 Lineup and it is absolutely stunning. 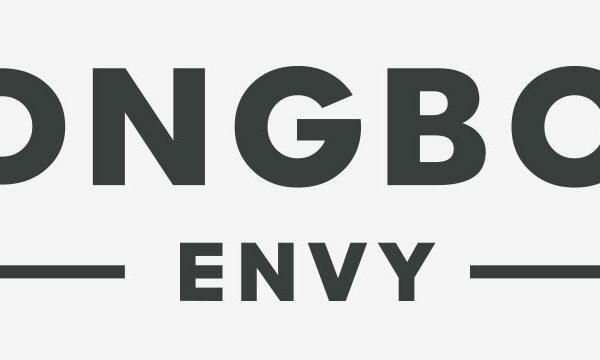 We’ve worked with them to assemble an update on what they have in store for 2019. 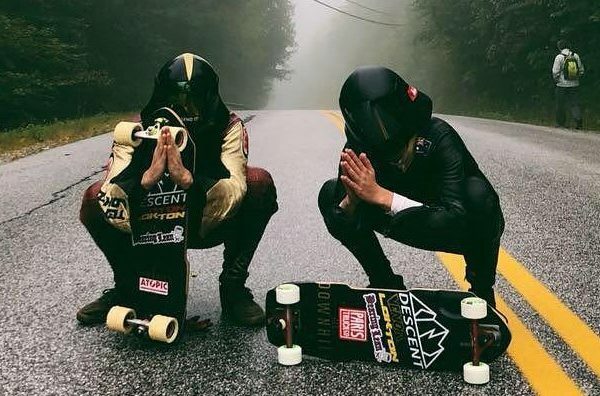 Their latest is focused on freestyle, dance, downhill and freeride disciplines. 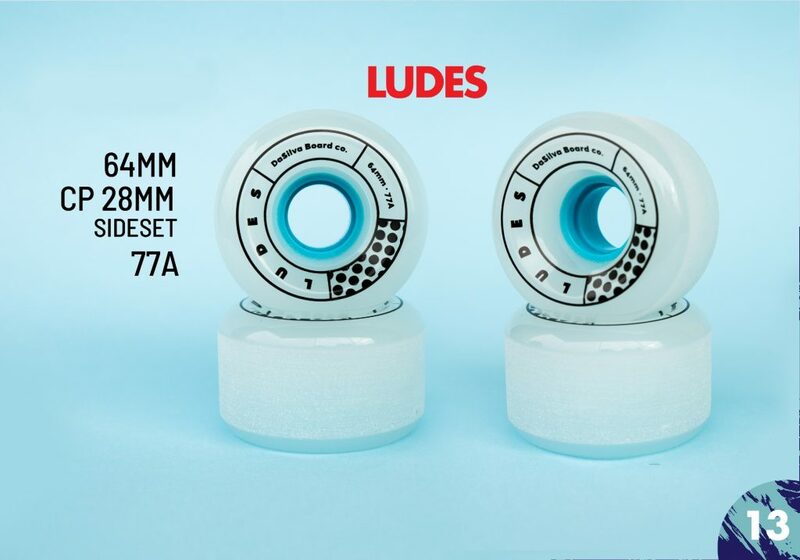 In addition to the new decks, all of Dasilva’s wheels will be back in stock after a hiatus due to the overwhelming demand. What was the inspiration or guiding sentiment for this years lineup? As far as shapes and tech goes, we’re always listening to rider feedback and making adjustments to provide a better product and a better experience. For the art we teamed up with Yonil – the uber talented local street-art cat – to create a fresh line of art that is really unique, and we’re stoked on how it’s shaping up! Any new technology or manufacturing process this year? 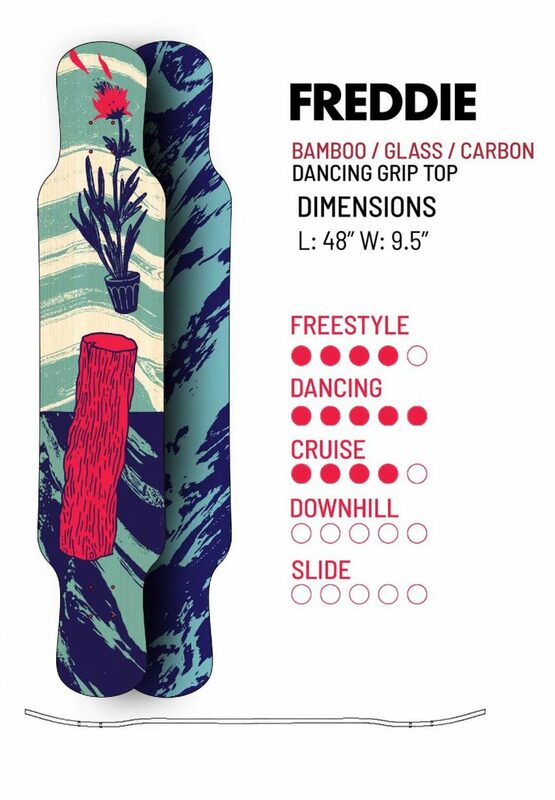 We’re always tweaking and improving our tech to make our boards better – this year for the Pro Series freestyle boards we increased the Bamboo to Composite ratio, which in our heavy testing showed a 30% increase in durability and more consistent flex pattern throughout the board’s life, while maintaining the light weight and feel our boards are known and loved for. For our Pro Series DH lineup, all boards now come wrapped in quad-axial Carbon Fiber – wheel wells, grab rails and flush mounts included – meaning any part of the board that was milled is also reinforced, which make for a much stiffer and more durable board, while keeping the weight light. I think Dancing has always been part of your DNA, with a recent entry into the downhill/freeride world. Do you expect to release anything that follows the latest trend: short, short short? Actually, we’ve been making DH boards from the get go, that’s where we started. Freestyle and Dancing came around a bit later, and we really found our home there – but we’ve been skating fast this whole time and still do as much as we can! 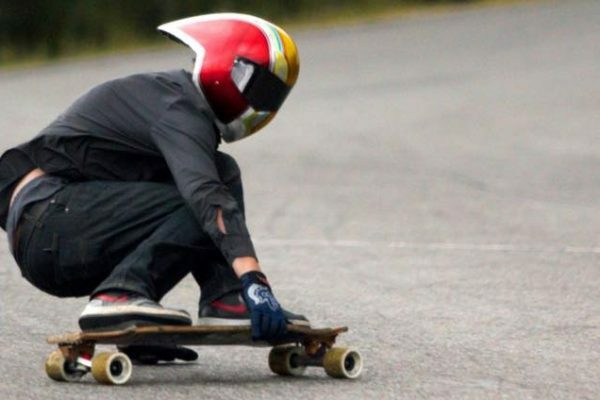 And funnily, as we are not very big guys ourselves, we’ve been skating short-ish boards for years and our line up reflects that. 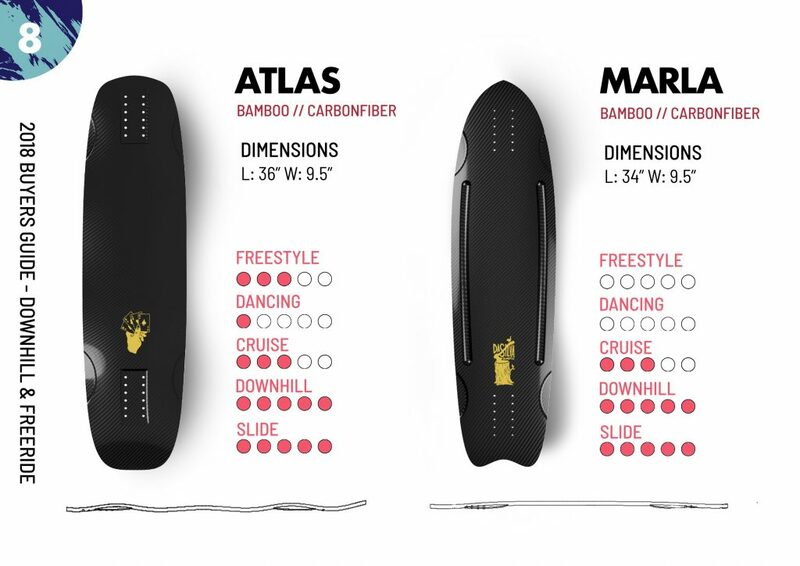 The Marla has been around for a while is a tight race board and is super tweaked for narrow trucks and tight tucks. 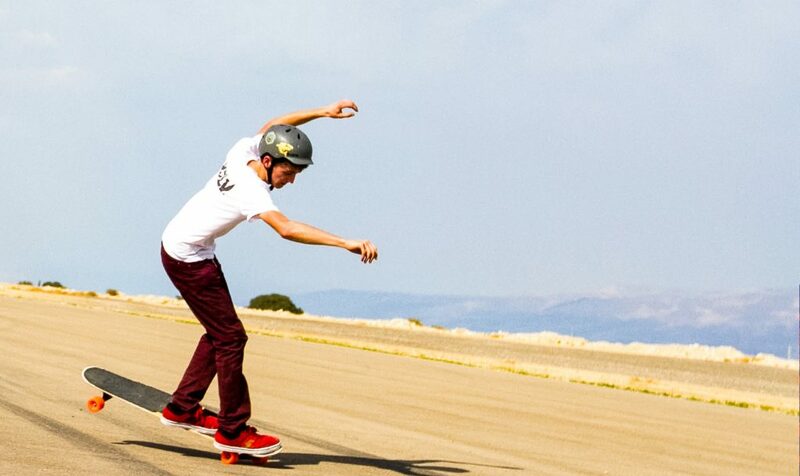 The Moksha is one of the smaller (as well as one of the lightest and stiffest) drop decks on the market and rides extremely responsive – you really need to get on one to open your mind about what a drop deck can feel like. And we also always offer the option of custom boards – we’ve made some tiny race boards this year haha. So yes, we’re down with this trend for the most part! 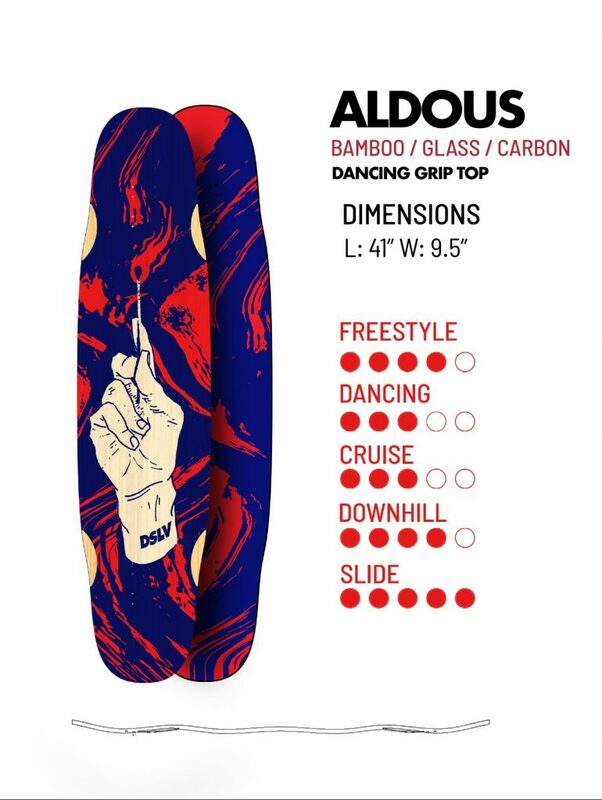 From cruising to warp speed – sideways or straight lines, the Aldous is a good choice. 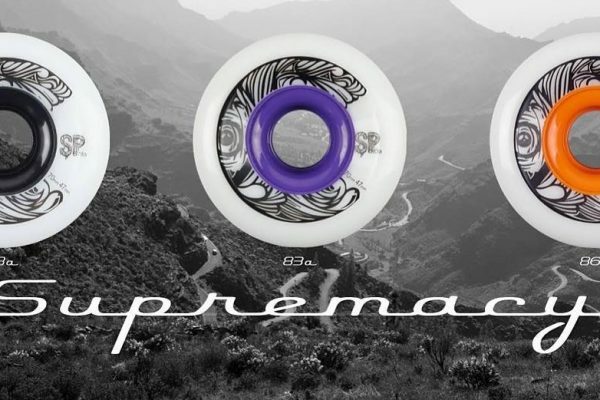 Wheelwells, rocker and comfy bacon-concave give you plenty of options while the dual kicks mean you can flick it around. New for 2019, the Rama is the larger counterpart to the Hux. 5 more inches on the standing platform will give you a lot of extra room to walk it out. 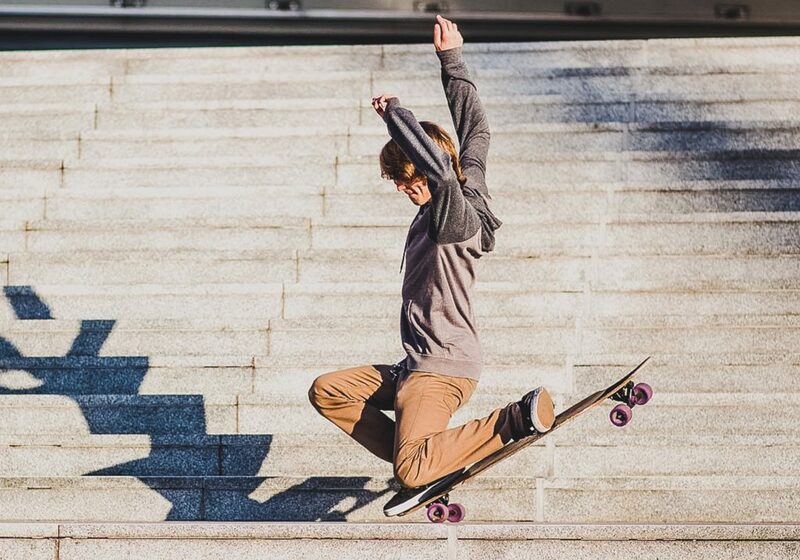 Steep, dual kicks and a mild concave create the perfect freestyle/dance platform. The Hux has been a staple in Dasilva’s lineup for a while now. 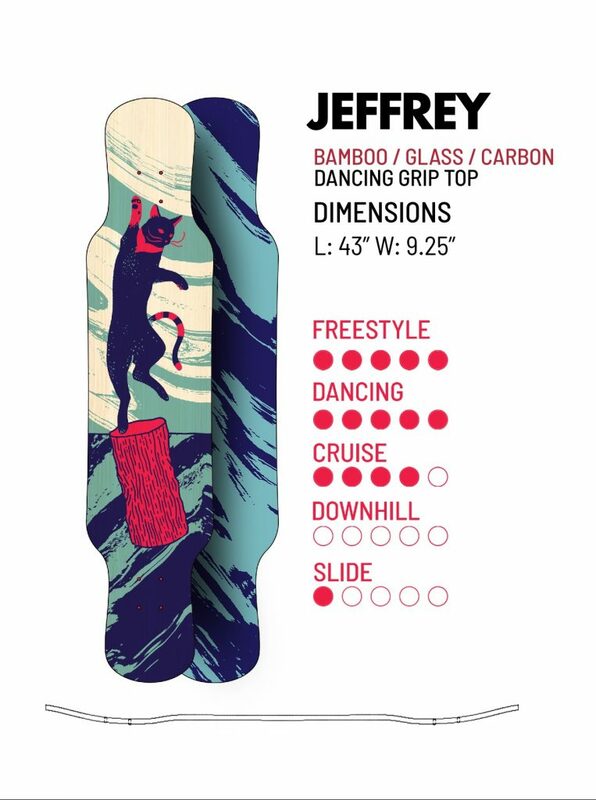 Steep, dual kicks and a mild concave make this an excellent choice for dancing or freestyle. Walk from tail to tail or spin it around a bit – there’s room. The Jeffrey grows up a bit. This year it’s a little more than an 1″ longer. Wouldn’t we all like an extra inch? Twin sicks, mild tub concave and cutouts for wheel clearance, the Jeffrey’s freestyle game is fleekin. The Freddie grew 2.5″ this year. 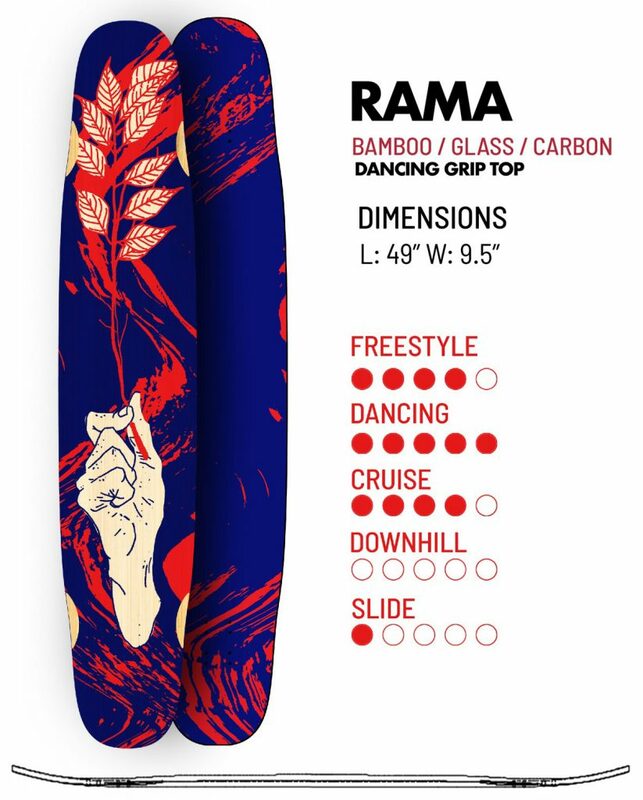 It also no longer the longest freestyle and dancing board in the Dasilva lineup now that the Rama has arrived. This one is all go and flow. 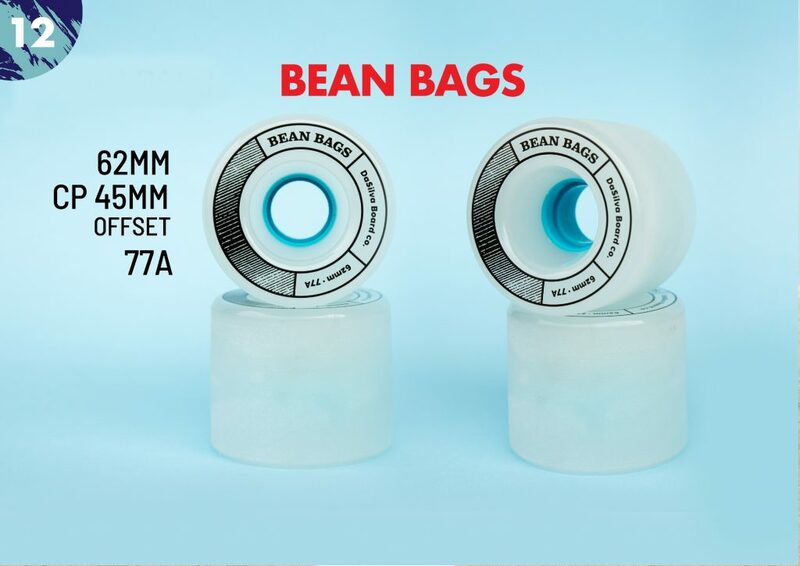 Mellow dual kicktails, tub concave and wheel cutouts in a 49″ long package – a true rolling floor. 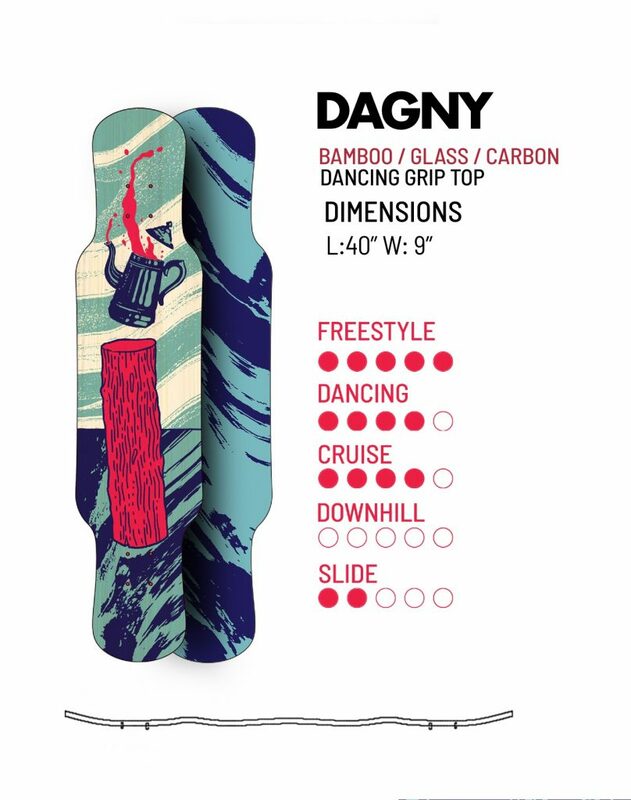 The Dagny is the lightest of the lineup in the freestyle & dance disciplines. Like the Jeffrey and Freddie, it’s grown a bit this year – 1.75″ to be exact. Rocker, Flares, and moderately steep kicks keep it interesting. Wavy-bacon-concave ensures you’ll maintain spacial awareness as you walk it out. They’re both still the same size as the previous year. New features include a new carbon fiber outer, CNC’d wheel wells and some relief cuts on the Marla that should help you carry it. 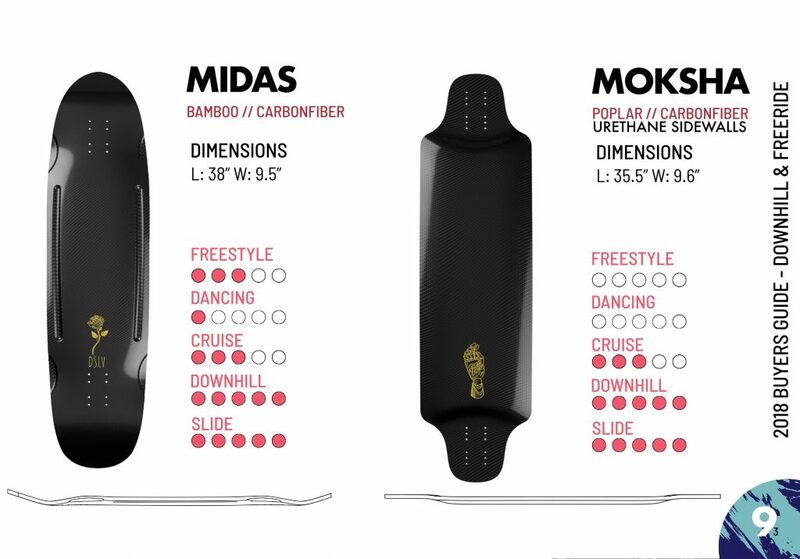 The Midas and Moksha both return for 2019! The Midas grows a 1/4″ from it’s previous self and now includes a carbon fiber outer. Steep rear and mild front kicks and the same cutouts seen on the Mara. 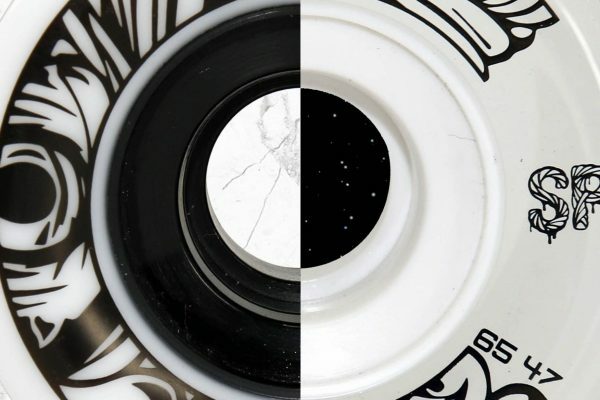 The Moksha grows an inch, features tub concave, urethane sidewalls and a poplar core unique to Dasilva’s lineup. 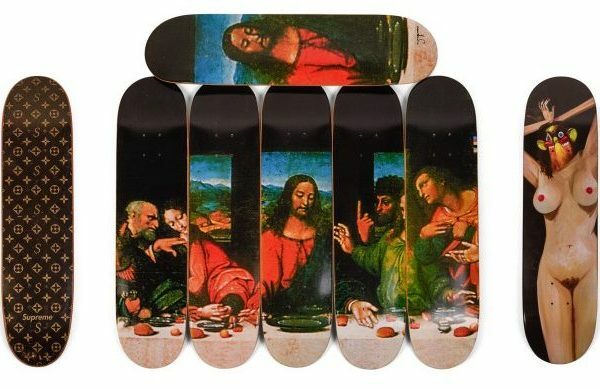 Both of these decks are absolutely stunning. The Moksha has long been one of our favorite from Dasilva and this year even mores. What’s new in the world of Dasilva ‘thane? We noticed you sold out of your wheels earlier than expected. Yeah [the] new soft formula has been a hit, we’re having a hard time keeping stock. What can I say, it really is dope ‘thane! Soft and buttery but surprisingly resilient, and works really well for pretty much anything that isn’t racing – and we’ve been finding ourselves, and as orders are coming in seems like our customers share this sentiment too – smaller wheels are more fun! Yes I said it! Bean Bags – Short and fat. Bean Bags are perfect for small setups. They’re smaller so you’re rolling faster, but the wide contact patch lets you put on the brakes. When you need a pick me up. 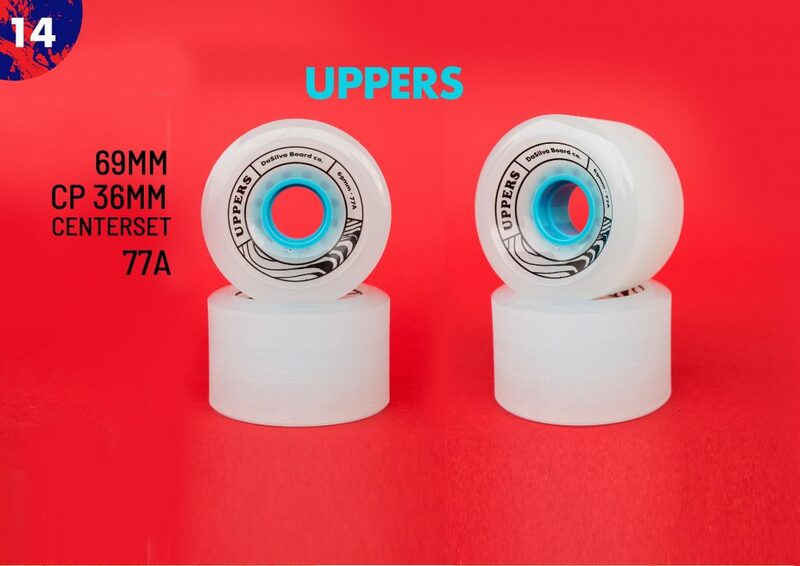 The Uppers 69MM height mean they’ll get up and rolling quickly. Dasilva’s downhill wheel. Skinned. Square lipped and wideeeee. 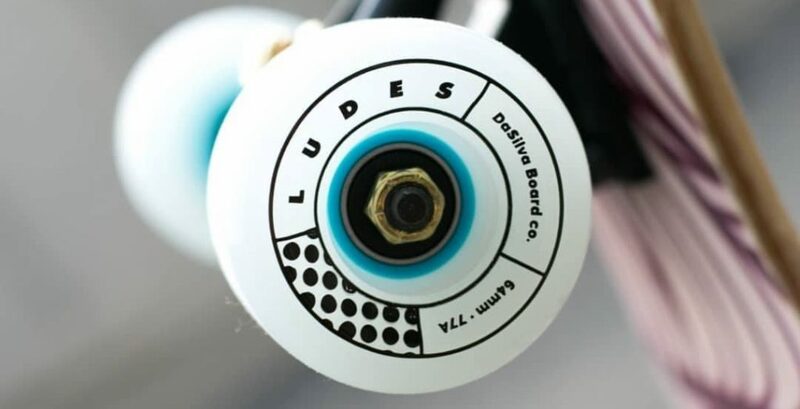 These are Dasilva’s downhill oriented wheel and they check all the boxes to get you to the bottom in a hurry. What do you expect Dasilva to be working on for 2019? Podiums, events, spreading stoke? Podiums is a roll of the dice more often than not, so we don’t pay to much attention to that. 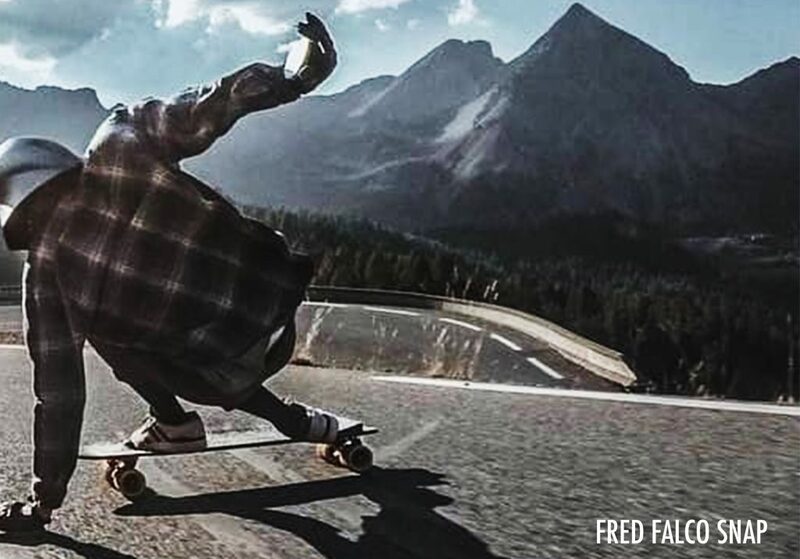 it’s sure awesome to see one of our dudes on top, but that’s not the objective 😉 We’re all about spreading the stoke as far as we can reach – local stoke events, media, contests and building a community is where it’s at. What’s shipping like for international customers? I saw about $32 to me in Florida. What’s everyone in the shop of Dirty Hippies skating? 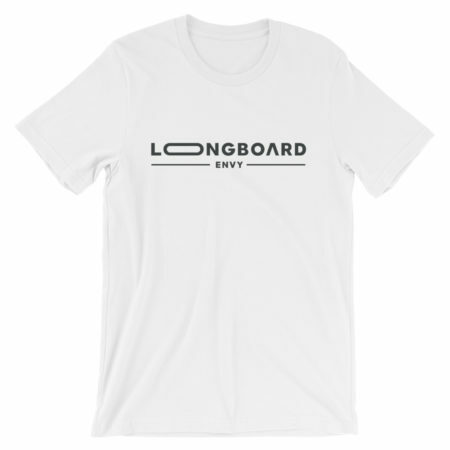 We have a bunch of boards set up to get rowdy here, from DH (I personally ride the Moksha lately) to surf-skates (Jules and Mia are so much fun) but the board I actually find myself reaching for most often is the Rorschach – it’s just the perfect board for anything the city might throw my way! pops like a street deck, slides controllably, at home at the skatepark and has enough room on it for pushing comfortably with a case of beer. Dasilva has been putting out stylish and performant products since their beginning and 2019 is a step up from what we’ve seen before. 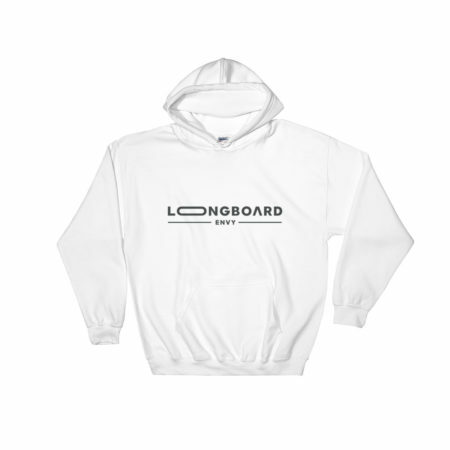 Head to the link below to pick up some of their latest gear.